This year I made a handful of quilts. Still not the fastest worker in the West, but not too shabby. There were also some other makes - a couple of Artist Trading cards, and a handful of things made for, and at, the Stitch Gathering. I'm gradually working out what is 'me' so it's all good and it's exciting to plan for the year ahead. Time to look forward to 2015. I love your lists! You are not alone! Happy New Year! Wonderful quilts and other makes. Well done! I'm impressed with how much you got done during the year. You had a lovely year Catherine, I applaud your creativity. When I look at all you have done, my eyes are drawn directly to Leaves and the Bass Rock ATC, I can't help it! Your resolutions put a smile on my face...Who needs fruits anyway? Aren't they overrated? Here's to you and your creativity! Happy New Year! 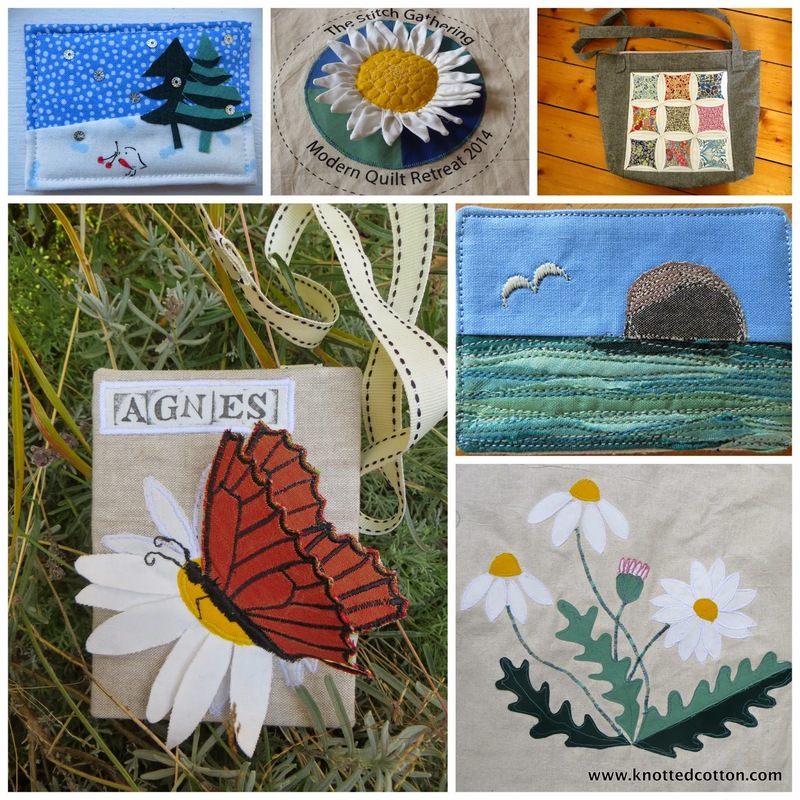 Your quilts are beautiful and have been such a lovely inspiration this year. Good luck with your goals. Selective, refined eye candy. NOM! NOM! NOM! Happy New Year, dear Catherine! Not too shabby at all, especially for a slow blogger. Quality work takes time :) I always enjoy seeing you work. Love your goals--thanks for making me smile. Also, GREAT finishes this year! Gorgeous creations! Happy new year. 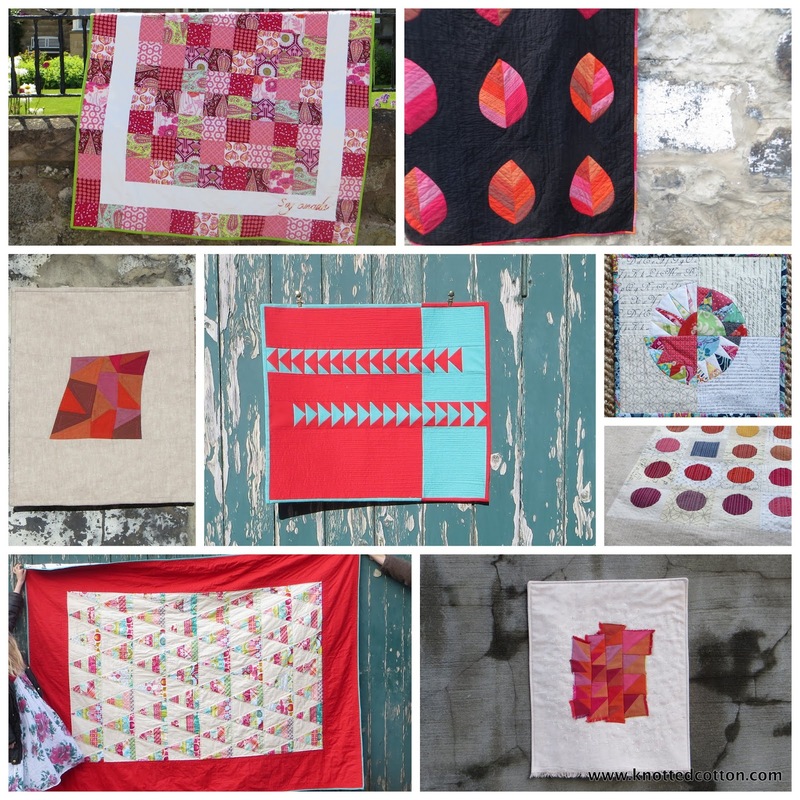 How wonderful to see a collage of all the beautiful quilts you have made, I remember them all from following your blog that I discovered this past year. You are so talented! What gorgeous finishes, and good luck with those resolutions! Happy New Year to you. You have had some beautiful finishes this year - I think the Oakshott leaves has got to be my favourite though! And your resolutions sound very similar to mine! ... and a question: Where is this place of your header? The big rock?